A THIRD PEARL HARBOR ? 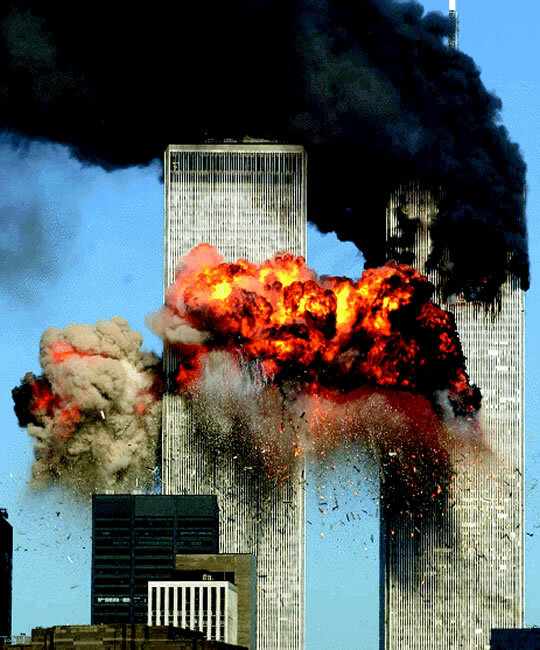 New York City, September 11, 2001 ???????? 9-23-09 - VISIONS - Approximately 9 a.m. I got so tired, I felt like I was going to fall down if I didn't lay down, so I went to bed to take a nap, but I didn't fall asleep. So, I decided to meditate a bit, and started off with prayer as I usually do. As soon as the prayer was done, a voice said, "With regard to December 7th!" - and I saw a photo album open up with colored pictures on the right-hand page of ships at dock - large ships. These pictures could have been Memorial Stamps put out by the government. That vision faded and then the voice said, "And as a baby turns around!" and the album opened up again, and on the left-hand page, I was seeing black and white pictures like one sees of babies in the womb before birth, and the baby was in the process of getting ready to be born. There were 6 or 7 photos of the baby as it turned. Then I had a third vision - this one was of a person holding a green water hose and the water was shooting out full blast towards the left. Lastly, I felt an electrical shock go through my head from my right ear toward the left, and I knew it was over. 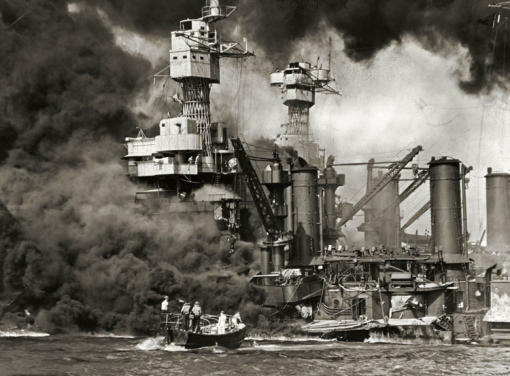 NOTE: The reference to December 7th is ominous, because I've had visions and dreams about it before about a New Pearl Harbor attack to occur just like the old one in 1941. The other thing is that the attack on New York City on 9/11/2001 was also called the Second Pearl Harbor, and I've written about the Third Pearl Harbor coming. Especially now with talk about new terror threats especially on Chicago and perhaps other cities. But it feels to me like the threat is going to come from the sea this time. 1-9-09 - DREAM - I was on a military ship in the harbor at Hawaii. There was a large group of military men on board the ship, but the ones I was looking at were not in military uniform, they were dressed in black wet suits. There was a series of events being planned, but today's was all set to take place. 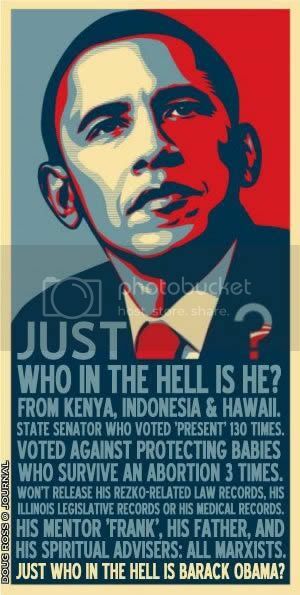 NOTE: Remember that President elect Obama was supposedly born in Hawaii, and several main politicians said that 'something' was going to happen as soon as Obama is elected that will force him to make unpopular decisions, thus I am posting this now to make sure the dream gets posted before the election. Others have said that a 'false flag' event will probably occur this coming weekend, before the election so that President Bush will have to take action in place of Obama before he leaves office. The head guy of this particular group was large - very impressive. He jumped off the ship into the harbor - and at that moment I saw the date December 24, 1901 and then a large bull's eye target. The dream changed and I was with this same man and his wife, and they invited me to go to a concert with them. I could barely walk and I really didn't feel like following them, so I told them I was going to go home and change clothes. I reached what I thought was my apartment #12, but when I entered the door, there was a black family living there. The picture window out to the yard was really large and there were a lot of kids looking in the window to see what was going on. I woke up to a song being sung by kids called 'Soldiering'. I remembered it from when I was a kid. I was born on December 26, 1938, and grew up during WWII. The first recording of Lilli Marlen, 2, August, 1939, Electro Studio, Berlin. The words were written in 1915 during World War I by Hans Leip (1893-1983), a school teacher from Hamburg who had been conscripted into the Imperial German Army. Leip reportedly combined the names of his girlfriend and another female friend. 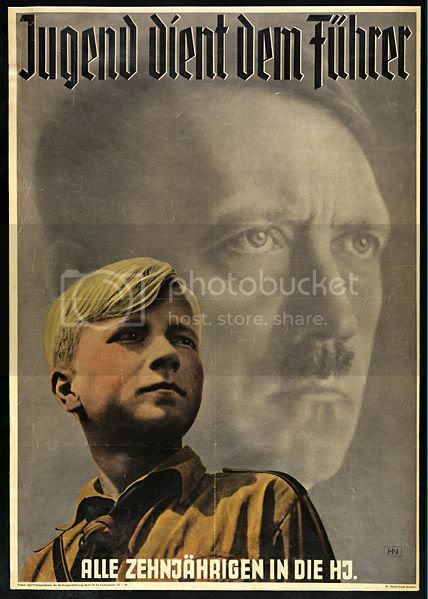 The poem was later published as "Das Lied eines jungen Soldaten auf der Wacht" ("The Song of a Young Soldier on Watch") in 1937 now with the two last (of five) verses added. It was set to music by Norbert Schultze in 1938. Tommie Connor later wrote English lyrics. 7-1-09 - DREAM - I was in Milwaukee, WI, working at A-C (Allis-Chalmers) I was going on a trip and before I did that, I had to go outside and water the plants so they would survive while I was gone. When I was out on the sidewalk, I was checking where cars were parking because nobody was supposed to park right in front of the doors to the building. There was a very wide access sidewalk - large enough for a bus to park there. The trees and plants were on the sides of that access spot. Cars could stop and discharge passengers there, but no one could park there. I looked in both directions to check where the plants were, then I set about to water each plant individually with a very large plastic cup full of water. I then went to the airport where I was meeting Todd (Trevor St. John) (from One Life to Live TV show). I got there first, and Todd's ex-wife Blair (actually Kassie DePalva) was there standing in front of the doors to the airport lobby. She asked me what I was doing there and I told her I was meeting Todd and he was taking me to Hawaii. She nodded and walked away - when I thought she would be jealous that he was taking me somewhere. He was actually taking me farther than that - like Japan and other places..
Then I saw Todd coming across the parking lot towards me. He was dressed in a bright blue suit jacket - that was so bright, it was almost irridescent - it was so outstanding and out of place next to other people, that's all I could see. It really felt uncomfortable. I can't remember what any of the things were that he was going to do, but when Todd does things, he does them - big - and there are always people upset, angry, and he always regrets getting caught doing them and everyone is 'always' angry about what he does. NOTE: The boy's name Todd is pronounced tahd. It is of Middle English origin, and its meaning is "fox". The name possibly refers to a fox hunter. It remains a dialectal word for a fox in some parts of Britain. Tod is a Scottish nickname for a clever or wily person. First. Until the re-establishment of civil government and the making of provisions thereby for the repair of roads and performance of other public work, the old Spanish law requiring either fifteen days' free labor or three pesos tax in lieu thereof may be enforced, and road work be begun as soon as it is practicable or safe to do so. With this purpose in view, lists will be immediately prepared of all the principales, who will have the privilege of either paying three pesos or working; but all other poor people, able-bodied males, will be required to work in turn. The purpose of the preceding telegraphic circulars of instruction has been to place the burden of the war on the disloyal, and to so discipline the inhabitants that they will become anxious to aid and assist the government in putting an end to the insurrection and in securing the re-establishment of civil government. Their provisions are based upon the assumption that, with very few exceptions, practically the entire population has been hostile to us at heart. In order to combat such a population, it is necessary to make the state of war as insupportable as possible; and there is no more efficacious way of accomplishing this than by keeping the minds of the people in such a state of anxiety and apprehension that living under such conditions will soon become unbearable. Little should be said. The less said the better. The making of threats which cannot be carried out should especially be carefully guarded against. Let acts, not words, convey intentions. The more an officer does and the less he says about what he is going to do, the more apprehensive and anxious will become those who are guilty and who wait for what is next to happen. When it becomes necessary to give warning or public instructions, do it dispassionately, and not in a threatening way. Though it is intended and desired that the policy to be enforced shall be as rigid and relentless as it possibly can be until the people have come to their senses and completely turned against the insurgents, the brigade commander relies upon the sense of duty of every officer and non-commissioned officer and the personal pride and gentility of every enlisted man to effectually preclude looting and other abuses committed for personal advantage. He feels certain that officers and men who have so important a duty to perform, and who are forced to adopt such radical measures to accomplish it, do not wish to reflect serious discredit upon their motives by seeking or desiring any personal advantage. J. F. Bell, Brigadier-general Commanding. In other words, the military authorities took whole provinces of people apparently pursuing their ordinary avocations, and undertook by every form of oppression -- burning their houses, destroying their food, confining them within certain zones, confiscating their property, imprisoning them, or forcing them to work -- to make them active agents on our side in this war of conquest. I have become convinced that within two months at the outside there will be no more insurrection in this brigade. We may not have secured all the guns or caught all the insurgents by that time, and the present insurrection will end and the men and the guns will be secured in time.... I am practically sure they cannot remain here in Batangas, Laguna, and a part of Tayabas. The people are now assembled in the towns, with all the visible food supply except that cached by insurgents in the mountains. For the next six days all station commanders will be employed hunting insurgents and their hidden food supplies within their respective jurisdictions. Population of each town will be turned out, and all transportation that can be found impressed to bring into government storehouses all food that is found, if it be possible to transport it. If not, it will be destroyed. I am now assembling in the neighborhood of twenty-five hundred men, who will be used in columns of about fifty men each. I expect to accompany the command. Of course, no such strength is necessary to cope with all the insurgents in the Phillipine Islands, but the country is indescribably rough and badly cut up.... To the ravines and mountains I take so large a command for the purpose of thoroughly searching each ravine, valley, and mountain-peak for insurgents and for food, expecting to destroy everything I find outside of towns. All able-bodied men will be killed or captured. Old men, women, and children will be sent to towns. This movement begins January 1, by which time I hope to have nearly all the food supply in the towns. If insurgents hide their guns and come into the towns, it will be to my advantage; for I shall put such a pressure on town officials and police that they will be compelled to identify insurgents. If I catch these, I shall get their guns in time. I expect to first clean out the wide Loboo Peninsula south of Bantangas, Tiasan, and San Juan de Boc Boc road. I shall then move command to the vicinity of Lake Taal, and sweep the country westward to the ocean and south of Cavite, returning through Lipa. I shall scour and clean up the Lipa Mountains. Swinging northward, the country in the vicinity of San Pablo, Alaminos, Tananan, and Santo Tomas, will be scoured, ending at Mount Maguiling, which will then be thoroughly searched and devastated. This is said to be the home of Malvar and his parents. These people need a thrashing to teach them some good common sense, and they should have it for the good of all concerned. Sixto Lopez is now interested in peace because I have in jail all the male members of his family found in my jurisdiction, and have seized his houses and palay and his steamer. Let us see now what General Smith's orders were. Tacloban, Leyte, P.I, Dec. 24,1901. The brigade commander has become thoroughly convinced from the great mass of evidence at hand that the insurrection for some time past and still in force in the island of Samar has been supported solely by the people who live in the pueblos ostensibly pursuing their peaceful pursuits and enjoying American protection, and that this is especially true in regard to the "pudientes," or wealthy class. He is and for some time past has been satisfied that the people themselves, and especially this wealthy and influential class, can stop this insurrection at any time they make up their minds to do so; that up to the present time they do not want peace; that they are working in every way and to the utmost of their ability to prevent peace. He is satisfied that this class, while openly talking peace, is doing so simply to gain the confidence of our officers and soldiers, only to betray them to the insurrectos, or, in short, that while ostensibly aiding the Americans, they are in reality secretly doing everything in their power to support and maintain this insurrection. Under such conditions there can be but one course to pursue, which is to adopt the policy that will create in the minds of all the people a burning desire for the war to cease, -- a desire or longing so intense, so personal especially to every individual of the class mentioned, and so real that it will impel them to devote themselves in earnest to bringing about a state of real peace, that will impel them to join hands with the Americans in the accomplishment of this end. The policy to be pursued in this brigade, from this time on, will be to wage war in the sharpest and most decisive manner possible. This policy will apply to the island of Samar and such other portions of the brigade to which it may become necessary to apply it, even though such territory is supposedly peaceful or is under civil government. Commanding officers are earnestly requested and expected to exercise, without reference to these headquarters, their own discretion in the adoption of any and all measures of warfare coming within the provisions of this general order which will tend to accomplish the desired results in the most direct way or in the shortest possible space of time. They will also encourage the younger officers of their commands to constantly look for, engage, harass, and annoy the enemy in the field; and to this end commanding officers will repose a large amount of confidence in these subordinate officers, and will permit to them a large latitude of action and a discretion similar to that herein conferred upon the commanding officers of stations by these headquarters. First. Every native, whether in arms or living in the pueblos or barrios, will be regarded and treated as an enemy until he has conclusively shown that he is a friend. This he cannot do by mere words or promises, nor by imparting information which, while true, is old or stale and of no value; nor can it be done by aiding us in ways that do no material harm to the insurgents. In short, the only manner in which the native can demonstrate his loyalty is by some positive act or acts that actually and positively commit him to us, thereby severing his relations with the insurrectos and producing or tending to produce distinctively unfriendly relations with the insurgents. Not only the ordinary natives, but especially those of influence and position in the pueblos, who manifestly and openly cultivate friendly relations with the Americans, will be regarded with particular suspicion, since by the announced policy of the insurgent government their ablest and most stanch friends or those who are capable of most skillfully practising duplicity are selected and directed to cultivate the friendship of American officers, so as to obtain their confidence, and to secretly communicate to the insurgents everything that the Americans do or contemplate doing, particularly with regard to the movement of troops. In a word, friendship for the Americans on the part of any native will be measured directly and solely by his acts; and neither sentiment nor social reasons of any kind will be permitted to enter into the determination of such friendship. Second. It will be regarded as a certainty that all officials of the pueblos and barrios are likewise officials of Lukban and his officers, or at least that they are in actual touch and sympathy with the insurgent leaders, and that they are in secret aiding these leaders with information, supplies, etc., wherever possible. Officers will not be misled by the fact that officials of the pueblos pass ordinances inimical to those in insurrection, or by any action taken by them, either collectively or individually. The public acts of pueblo councils that are favorable to the Americans are usually negative by secret communication on the part of the parties enacting them to those in insurrection. Therefore, such acts cannot be taken as a guide in determining the friendship or lack of it of these officials for the American government. Third. The taking of the oath of allegiance by officials, presidentes, vice-presidentes, consejeros, principales, tenientes of barrios, or other people of influence, does not indicate that they or any of them have espoused the American cause, since it is a well-established fact that these people frequently take the oath of allegiance with the direct object and intent of enabling them to be of greater service to their real friends in the field. In short, the loyalty of these people is to be determined only by acts which, when combined with their usual course of conduct, irrevocably binds them to the American cause. Neutrality must not be tolerated on the part of any native. The time has now arrived when all natives in this brigade, who are not openly for us must be regarded as against us. In short, if not an active friend, he is an open enemy. Fourth. The most dangerous class with whom we have to deal is the wealthy sympathizer and contributor. This class comprises not only all those officials and principales above mentioned, but all those of importance who live in the pueblos with their families. By far the most important as well as the most dangerous member of this class is the native priest. He is most dangerous; and he is successful because he is usually the best informed, besides wielding an immense influence with the people by virtue of his position. He has much to lose, in his opinion, and but little to gain through American supremacy in these island. It is expected that officers will exercise their best endeavors to suppress and prevent aid being given by the people of this class, especially by the native priests. Wherever there is evidence of this assistance, or where there is a strong suspicion that they are thus secretly aiding the enemies of our government, they will be confined and held. The profession of the priest will not prevent his arrest or proceedings against him. If the evidence is sufficient, they will be tried by the proper court. If there is not sufficient evidence to convict, they will be arrested and confined as a military necessity, and held as prisoners of war until released by orders from these headquarters. Others of his orders are counterparts of those issued by General Bell, the phraseology being the same. Here, then, were several great provinces placed under the heel of two military officers, who started by assuming that the entire population was hostile, who regarded the most friendly behavior as especial evidence of hostility, who imparted their suspicions to their subordinates, urged them to act without consulting headquarters, and then began a campaign of reconcentration, devastation, and extermination. The only evidence of friendship that was to be accepted substantially was pointing out guns or insurgents, and the natives were to be subject to what General Bell calls once an "unsupportable" and once "intolerable" pressure. Information reaching these headquarters indicates that the hardship and pressure which has been placed upon the people by the campaign has caused them, in seeking revenge or means of self-defence, to resort to their well-known expedient of false denunciation. Inasmuch as this custom is both a pernicious nuisance and might become a serious impediment to the success of military operations, commanding officers in the provinces of Batangas and Laguna will promptly bring to trial by provost court, for conduct prejudicial to good order and military operations, any person who makes a false denunciation, whenever it can be established to the satisfaction of the commanding officer that said false denunciation has been knowingly and viciously made for purposes of revenge, of self-defence, of clouding the real issue, of throwing discredit upon the transactions, motives, or testimony of material witnesses, or for any other purpose. Inasmuch, however, as it is not intended to prevent or discourage the making of legitimate complaints, commanding officers will take great pains to investigate carefully and bring no one to trial until it has been clearly ascertained that they have made false denunciations knowingly and purposely, with vicious intent. Any kind of defiance of the government or disloyal manifestations against measures adopted by it to put an end to insurrection, in this brigade, will be suppressed at once. These people must be taught the necessity for submission to the legally constituted authority, and this can be properly done in one way only, -- by firm and relentless repressive action. Who were the men who as commanding officers, or provost courts, held absolute sway over thousands of men? They were various subordinate officers, without judicial experience, unfamiliar with the language of the witnesses, and with every passion and prejudice inflamed against the people whom they were set to govern or try by such orders from their superiors as have been quoted. it should be the earnest and paramount aim of the military administration to win the confidence, respect, and affection of the inhabitants of the Philippines by assuring them in every possible way that full measure of individual rights which is the heritage of free peoples. We have here concentration, devastation, the destruction of food and dwellings wherever found outside the "protected zones," killing, and every feature of the most barbarous war. How such orders appear in the execution may be gathered from the following letter written to Senator Hoar by Clarence Clowe, of Seattle, on June 10, 1900, at a time when we were supposed to be pursuing "the magnanimous and benevolent policy" of which General Bell speaks in his order of December 13, 1902. It was about sixteen months after hostilities began. Yet Secretary Root approved all this. In his letter of May 7, 1902, to the president of the Senate, he says that the orders of General Bell of December 8, December 9, and December 13, were received by the department on January 17, 1902. He says that these orders were "based upon," and were in strict conformity both with the letter and spirit of these instructions, that the War Department saw no reason to doubt that the policy embodied in the above-mentioned orders was at once the most effective and the most humane which could possibly be followed; and so, indeed, it has proved, since, as he says, the guerilla warfare in Batangas and Laguna and the adjacent regions has been ended, the authority of the United States has been asserted and acquiesced in, and the people who had been collected and protected in the camps of concentration have been permitted to return to their homes and resume their customary pursuits in peace. Surely, an amazing sentence, when we remember that outside the camps their homes had been burned, and their food and other property destroyed or carried away in great part, if not wholly. Can such "devastation" as General Bell describes in his letter to General Wheaton be carried out and any home worth having be left? Literally, history repeats itself; and the American Secretary of War "makes a solitude, and calls it peace." 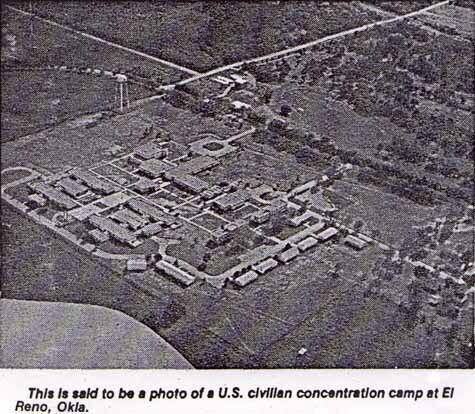 The War Department has not disapproved or interfered in any way with the orders giving effect to this policy; but has aided in their enforcement by directing an increase of food supply to the Philippines for the purpose of caring for the natives in the concentration camps. Here is a summary of the previous information circulating about Gunderson’s PRISONER BOXCARS WITH SHACKLES from previous reports circulating all over the nation on this subject, which I have written. BRENT GUNDERSON is challenging my information. CAN YOU PROVE HIM WRONG??? Many people have raised skeptical questions about reports of prisoner BOXCARS AND SHACKLES being sighted across America. Some people think that they are only reported originally through Phil Schnieder in a Patriot interview. Recently, someone erroneously reported that MY information on them originated from Phil Schnieder. WRONG! My research and documentation on the boxcars and shackles goes far beyond Phil´s interview. Long before I heard of him, I had eyewitness information on these boxcars. A van full of eyewitnesses, missionaries traveling across America to evangelize and pray, stumbled across these boxcars in Montana, near Columbia Falls in Glacier. They described boxcars, in this case painted black, with shackles welded into them and a modern guillotine at the head of each boxcar inside. As they were photographing mountain scenery, they decided to follow railroad tracks into the wilderness so as to not get lost. This is how they came upon these boxcars with shackles. I later received a report from Lee Harrington of Valier, MT, who was a professional metal worker. He told me how in Glascow, MT, summer youth workers were employed to weld shackles into boxcars in that operation. They were then shipped west to Glacier and stored on remote sidetracks. Passing through the Blackfoot Indian Reservation in Cutbank, a local Blackfoot Indian, George Bullcalf, spotted these strange boxcars. When I interviewed local Patriots in Columbia Falls, they confirmed that hunters often stumbled upon such boxcars on remote train spurs in that wilderness region. Metal worker Lee Harrington also described 20,000 CHINESE prisoner boxcars with shackles and modern guillotines, in the form of 40 foot railroad containers, coming into America via the west coast. They were ordered by the American government through a Senator who visited China and ordered these items. Workers unloading them became suspicious and began to investigate and discovered these horrors from China. Such 40 foot cargo containers from China are now piled up along the West Coast, especially around Long Beach Naval Shipyard, turned over the Chinese. I receive constant reports across America regarding these types of prisoner boxcars from former radio listeners and Patriots across America…and Canada. Recently, a former high level satanist from the mountains of North Carolina, now a Christian and receiving discipleship, admitted that boxcars with shackles were indeed in the mountains of NC and waiting for the hour of martial law. (Asheville, NC) He warned that many Patriots and Christians arrested and secured into these prisoner boxcars under martial law will never even make it to the death camps..that many will be tortured and sacrificed once restrained in these prisoner boxcars. Governor of New South Wales Sir Thomas Brisbane imposed martial law in the Bathurst region in 1824 in response to violent conflicts between European settlers and the indigenous Wiradjuri people led by Windradyne. Martial law allows the government to detain anyone deemed to be threatening state security for renewable 45-day periods without court orders and also give military courts the power to try civilians. Public demonstrations are banned under the legislation. Martial law in India is different from rest of the world. According to the Indian Constitution, during peacetime, governmental and the people's interests are under the control of the Prime Minister, Parliament, and the Supreme Court, but all armed forces (except police, which are under the control of the Home Ministry and the respective state governments) are under the direct control of the Department of Defense and the President (who also controls the national guard and paramilitary forces). In case of a Emergency being declared in accordance with article 352 of the Indian Constitution  , all armed forces, reserve forces, and paramilitary forces, along with the Department of Defence, come under the strict orders of the President; while police, home ministry, law department, and government comes under strict control of the Prime Minister (without any intervention by Parliament and the Supreme Court). In such a crisis, solving an issue/problem, stabilizing the nation, and defense are considered higher priorities than the people's interest. In this situation, the Fundamental Rights may be suspended as well though in recent years the Supreme Court has ruled that some of the rights may never be suspended. In case of an environmental crisis or a limited terrorist attack or limited war, the Indian government declares states of alert in the vicinity of the area in which the emergency relief forces of the Indian Armed Forces, the Home Guard, and the police are coordinated by the Government of India. However Fundamental Rights are NOT suspended. The British Indian Colonial Government declared martial law many times in order to suppress the Indian freedom movement. April 13 1919 - After General Reginald Dyer fires upon a crowd of protesters in Amritsar,Punjab, where 379(official) ,>1000(unofficial and subsequent investigations) are killed, Martial Law is declared throughout Punjab. 1975 - Indira Gandhi declared a state of emergency between 25 June 1975–21 March 1977. 1984 December - Gas leak at Bhopal Gas tragedy. Thousands are killed immediately, many more subsequently die or are left disabled. 2005 8 October - An earthquake, with its epicenter in Pakistani-administered Kashmir, kills more than 1,000 people in Indian-administered Kashmir. NOTE:- Indian government declares state of emergency during any crisis that is administered as terrorist activity. 2003 August - At least 50 people are killed in two simultaneous bomb blasts in Bombay. Also, bombs kill 62 people in Delhi. 2006 14 people are killed by bomb blasts in the Hindu pilgrimage city of Varanasi. 2007 18 February - 68 passengers, most of them Pakistanis, are killed by bomb blasts and a blaze on a train traveling from New Delhi to the Pakistani city of Lahore. For further reading please browse through BBC Archives in South Asia section, relating to India. Military administrative government was in effect from 1949 to 1966 over some geographical areas of Israel, which had large Arab populations, primarily the Negev, Galilee, and the Triangle. The residents of these areas were subject to a number of controlling measures that amounted to martial law. Permits from the military governor had to be procured to travel more than a given distance from their registered place of residence and curfew, administrative detentions, and expulsions were common. Though the military administration was officially for geographical areas, and not people, its restrictions were seldom enforced on the Jewish residents of these areas. In the 1950s, martial law ceased to be in effect for those Arab citizens living in predominantly-Jewish cities, but remained in place in all Arab localities within Israel until 1966. During the 2006 Lebanon war, martial law was declared by Defense Minister Amir Peretz over the North of the country. The Israel Defense Forces were granted the authority to issue instructions to civilians, and close down offices, schools, camps and factories in cities considered under threat of attack, as well as to impose curfews on cities in the North. Instructions of the Home Front Command are obligatory under martial law, rather than merely recommendatory. The order signed by Peretz was in effect for 48 hours. It was extended by the Cabinet and the Knesset Foreign Affairs and Defense Committee over the war's duration. Martial law has been declared in Pakistan three times, though two times enforced under the name of "state of emergency", by Musharraf, as constitution was suspended. In the first instance President Iskander Mirza abrogated the Constitution in 1958 and declared Martial Law over the country. The second instance was when General Yahya Khan declared martial law in March, 1969 after Mirza's successor, General Ayub Khan handed over power to him. the 3rd by Gen Muhammad Zia-ul-Haq. Another debatable instance was when General Pervez Musharraf declared two times in the country "State of Emergency" once to topple Nawaz Sharif and other under thr self-created grounds i.e. mounting militant attacks and "interference by members of the judiciary". See 2007 Pakistani state of emergency for more information. After several tumultuous years, which witnessed the secession of East Pakistan, politician Zulfikar Ali Bhutto took over in 1971 as the first civilian martial law administrator in recent history, imposing selective martial law in areas hostile to his rule, such as the country's largest province, Balochistan. Following widespread civil disorder, General Muhammad Zia-ul-Haq overthrew Bhutto and imposed martial law in its totality on July 5, 1977 in a bloodless coup d'etat. Unstable areas were brought under control through indirect military action, such as Balochistan under Martial Law Governor, General Rahimuddin Khan. Civilian government resumed in 1988 following General Zia's death in an aircraft crash. On October 12, 1999, the government of Prime Minister Nawaz Sharif was dissolved, and the Army took control once more. But no Martial Law was imposed. General Pervez Musharraf took the title of Chief Executive until the President Rafiq Tarar resigned and General Musharraf became President. Elections were held in October 2002 and Mir Zafarullah Khan Jamali became Prime Minister. Jamili premiership was followed by Chaudhry Shujaat Hussain and Shaukat Aziz. While the government was supposed to be run by the elected Prime Minister, there was a common understanding that important decisions were made by the President General Parvez Musharraf. On November 03, 2007, President General Pervez Musharraf declared the state emergency in the country which is claimed to be equivalent to the state of Martial Law as the constitution of Pakistan of 1973, was suspended, and the Chief Justices of the Supreme Court were fired. On November 12, 2007, President General Pervez Musharraf issued some amendments in the Military Act, which gave the Armed forces some additional powers. President Jose P. Laurel of the wartime Second Republic (puppet-government under Japan) placed the Philippines under martial law in 1944 through Proclamation No. 29, dated September 21. Martial law came into effect on September 22, 1944 at 9am. Proclamation No. 30 was issued the next day, declaring the existence of a state of war between the Philippines and the US and Great Britain. This took effect on September 23, 1944 at 10am. The Philippines was under martial law again from 1972 to 1981 under the authoritarian rule of Ferdinand Marcos. Martial law was declared to suppress increasing civil strife and the threat of communist takeover following a series of bombings in Manila. The declaration of martial law was initially well-received by some segment of the people but became unpopular as excesses and human rights abuses by the military emerged. Torture was used in extracting information from their enemies. Proclamation No. 1081 (Proclaiming a State of Martial Law in the Philippines) was signed on September 21, 1972 and came into force on September 22 - interestingly enough exactly 28 years after President Jose P. Laurel's similar proclamations. There were rumours that President Gloria Macapagal-Arroyo was planning to impose martial law to put an end to military coup plotters and general civilian dissatisfaction and criticism of the legitimacy of her presidency due to dubious election results. Instead, however, a "State of National Emergency" was imposed to crush a coup plot and tackle protesters which lasted from February 24, 2006 until March 3 of the same year. Martial law was introduced in Communist Poland on December 13, 1981 by Generals Czesław Kiszczak and Wojciech Jaruzelski to prevent democratic opposition from gaining popularity and political power in the country. Thousands of people linked to democratic opposition, including Lech Wałęsa, were arbitrary arrested and detained. About 100 deaths are attributed to the martial law, including 9 miners shot by the police during the pacification of striking Wujek Coal Mine. The martial law was lifted July 22, 1983. Polish society is divided in opinion on the necessity of introduction of the martial law, which is viewed as a lesser evil compared to alleged Soviet military intervention. Generals' legal trials are still in progress after 25 years from the events. There are no provisions for martial law as such in Switzerland. Under the Army Law of 1995 , the Army can be called upon by cantonal (state) authorities for assistance (Assistenzdienst). This regularly happens in the case of natural disasters or special protection requirements (e.g., for the World Economic Forum in Davos). This assistance generally requires parliamentary authorization, though, and takes place in the regular legal framework and under the civilian leadership of the cantonal authorities. On the other hand, the federal authorities are authorized to use the Army to enforce law and order when the Cantons no longer can or want to do so (Ordnungsdienst). This power largely fell into disuse after World War II. See . After the Kuomintang (KMT) regime of the Republic of China (ROC) retreated from mainland China to Taiwan, the distinction of having the longest period of martial law in modern history was imposed on Taiwan and the other islands administered by the Republic of China. In the aftermath of the 2-28 Incident of 1947, martial law was declared in 1948, and the perceived need to suppress Communist and pro-democracy activities on the island meant that the martial law was not lifted until 1987. In Thailand many coups have taken place since the 1930s, but many have failed. In January 2004, the former Prime Minister of Thailand, Thaksin Shinawatra, declared a state of martial law in the provinces of Pattani, Yala, and Narathiwat in response to the growing South Thailand insurgency. On September 19, 2006, Thailand's Army declared martial law following a bloodless military coup in the Thai capital of Bangkok, declared while The Prime Minister Thaksin Shinawatra was in New York to address the United Nations General Assembly. General Sonthi Boonyaratglin took the control of the Government, and soon after handed the premiership to Ex-Army Chief General Surayud. Sonthi himself is Chief of the Administrative Reform Council. During the Yugoslav Wars in 1991, it was declared "State of Direct War Threat". Although forces from whole SFRY were included in this conflict, martial law was never announced, but after secession, Croatia and Bosnia and Herzegovina declared Martial law. In March 23, 1999, "State of Direct War Threat" was declared in Yugoslavia, following possibility of NATO air-strikes. Day after, when strikes had begun, Martial law has been declared, and it had duration until June 15, that year, although strikes ended on June 10, following Kumanovo agreement. Martial law has been declared three times in Canada. During World War I and World War II, as well as the October Crisis of 1970. Canada officially refers to Martial Law as the War Measures Act, which was enacted in 1914 and replaced by the Emergencies Act in 1988. The martial law concept in the U.S. is closely tied with the right of habeas corpus, which is in essence the right to a hearing on lawful imprisonment, or more broadly, the supervision of law enforcement by the judiciary. The ability to suspend habeas corpus is often equated with martial law. Article 1, Section 9 of the U.S. Constitution states, "The privilege of the Writ of Habeas Corpus shall not be suspended, unless when in Cases of Rebellion or Invasion, the public Safety may require it." In United States law, martial law is limited by several court decisions that were handed down between the American Civil War and World War II. In 1878, Congress passed the Posse Comitatus Act, which forbids military involvement in domestic law enforcement without congressional approval. The Military Commissions Act of 2006 possibly rescinds these limits by suspending habeas corpus, but the law is not clear on whether it applies to U.S. Citizens. Since, USNORTHCOM  has increased its direct involvement with civilian administration. On September 15, 1863, President Lincoln imposed Congressionally-authorized martial law. The authorizing act allowed the President to suspend habeas corpus throughout the entire United States. Lincoln imposed the suspension on "prisoners of war, spies, or aiders and abettors of the enemy," as well as on other classes of people, such as draft dodgers. The President's proclamation was challenged in Ex parte Milligan (71 US 2 ). The Supreme Court ruled that Lincoln's imposition of martial law (by way of suspension of habeas corpus) was unconstitutional. Despite the recent laws passed, a test of the president's power to declare martial law without the consent of Congress would likely run afoul of the Constitution which has exclusive power to suspend Habeas Corpus. During the War of 1812, U.S. General Andrew Jackson imposed martial law in New Orleans, Louisiana after capturing the encampment of New Orleans from the British in the Battle of New Orleans. As a result of the Boston tea Party, King George III of Britain, ordered Martial Laws in Boston to keep riots and protest down. During World War II (1939 to 1945) what is now the State of Hawaii was held under martial law from 1941 to 1945. Contrary to many media reports at the time, martial law was not declared in New Orleans in the aftermath of Hurricane Katrina, because no such term exists in Louisiana state law. However, a State of Emergency was declared, which does give unique powers to the state government similar to those of martial law. On the evening of August 31, 2005, New Orleans Mayor Ray Nagin nominally declared "martial law" and said that officers didn't have to observe civil rights and Miranda rights in stopping the looters. Federal troops were a common sight in New Orleans after Katrina. At one point, as many as 15,000 federal troops and National Guardsmen patrolled the city. Additionally it has been reported that armed contractors from Blackwater USA assisted in policing the city. See also "What Is Martial Law? And is New Orleans under it?" by the Slate Explainer. Macomb, Alexander, Major General of the United States Army, A Treatise on Martial Law, and Courts-Martial as Practiced in the United States. (Charleston: J. Hoff, 1809), republished (New York: Lawbook Exchange, June 2007), ISBN 1584777095, ISBN 978-1584777090, 340 pages. ^ National Museum of Australia. "NMA Collections Search - Martial Law in Bathurst". Retrieved on 2008-10-27. ^ a b c Valerie Féron (2001). 'Palestine(s): Les déchirures'. Paris, Editions du Felin. ISBN 2866453913. ^ Bassma Kodmani-Darwish (1997). 'La Diaspora Palestinienne'. ISBN 2130484867. ^ a b c Yaakov Katz and Amir Mizroch (15 July 2006). "Martial Law Declared in the North". ^ Edward, Irwin; AP contributions (2005-08-31). "Nagin declares Martial Law to crack down on looters", WWLTV. Retrieved on 24 May 2007. ^ Macomb on Martial Law and Courts Martial. Sen. Barack Obama on Wednesday unveiled a plan to create volunteer and service opportunities to help tackle some of the nation's most pressing issues, part of his weeklong focus on patriotism and national service. Sen. Barack Obama is expected to say President Bush failed to urge Americans to serve their nation after 9/11. "This won't be a call issued in one speech or one program -- I want this to be a central cause of my presidency," Obama said in a speech at the University of Colorado in Colorado Springs. "We will ask Americans to serve. We will create new opportunities for Americans to serve. And we will direct that service to our most pressing national challenges." He added, "When you choose to serve -- whether it's your nation, your community or simply your neighborhood -- you are connected to that fundamental American ideal that we want life, liberty and the pursuit of happiness not just for ourselves, but for all Americans. That's why it's called the American dream." Obama highlighted his time as a community organizer on Chicago's South Side and his stint heading Project Vote, a group that helped register 150,000 new African-American voters in the Illinois city, according to his campaign. "I wasn't just helping other people. Through service, I found a community that embraced me; citizenship that was meaningful; the direction I'd been seeking. Through service, I discovered how my own improbable story fit into the larger story of America," he said. The presumptive Democratic presidential nominee also touched on the "spirit" of service witnessed after the September 11, 2001, attacks and take aim at the Bush administration's failure to capitalize on this opportunity to call Americans to service. "We were ready to step into the strong current of history and to answer a new call for our country. But the call never came," he said. "Instead of a call to service, we were asked to shop. ... Instead of leadership that called us to come together, we got patriotism defined as the property of one party and used as a political wedge ... we ended up going into a war that should have never been authorized and should have never been waged." Obama also pressed the need to "ease the burden on our troops, while meeting the challenges of the 21st century" -- a plan he hopes will increase ground forces by 65,000 soldiers and 27,000 Marines. Sen. John McCain also has touched on national service with a call to action on his campaign Web site. There is also a list of suggested sites where people can volunteer. Government To Confiscate 401(k)s and IRAs For Mandatory Savings Tax? 3-30-09 - DREAM - I was at a school, and my daughter as a young woman and her friends came in to sign up for Obama's mandatory volunteerism. I told them to look like teachers, and they all stopped smiling and got serious faces on them as they lined up for their duty. Then George W. Bush came in to sign up. He had a sardonic smile on his face. just like that. He said, "My way? No way!" In his speech on national service Wednesday at the University of Colorado, Obama promised that as president he would "set a goal for all American middle and high school students to perform 50 hours of service a year, and for all college students to perform 100 hours of service a year." He would see that these goals are met by, among other things, attaching strings to federal education dollars. If you don't make the kids report for duty, he's essentially telling schools and college kids, you'll lose money you can't afford to lose. In short, he'll make service compulsory by merely compelling schools to make it compulsory. He adds, many dumb paragraphs later, the following: “No, national service isn’t slavery. But it contributes to a slave mentality, at odds with American tradition.” Since when is the “slave mentality” at odds with the American tradition, past or present? More reaction to Goldberg's June 8 column after the jump. There is one benefit to Goldberg’s idiotic penchant for selling every point he makes with the most offensively wrong analogy possible - he’s about 75% of the way towards Ann Coulter’s flameout into utter irrelevance, and he’s only published one book. This accusation is because Barack Obama proposes a program of national service. And after building up a case for national service as slavery that had never been done with such care, what does he end the piece with? No, national service isn’t slavery. The main reason he has to admit this is because he lapses awkwardly into a discussion of how both John McCain and George W. Bush support such programs, meaning that we’re either headed for a nation run by plantation bosses who want us to fetch the national lemonade, or his actual point - that national service offends his ethic of receiving ideological welfare for his hard work of being born and not drinking industrial cleaner instead of Gatorade. Really, dude, stop storing them next to each other. Look, if a kid wants to spend 50 hours a year volunteering at a soup kitchen or building a house for habitat for humanity, then more power to him. If she wants to spend that time playing video games or basketball, or even *gasp! * holding down a part-time job well, that’s her choice, too. The point of America is that you got to make the choice about what you want to do with your life, not have some bureaucrat decide for you. Clunky prose aside, I think that Goldberg was dead on in condemning compulsory service. It’s an antiquated, un-American notion that should by no means make its way into federal law. For the rest of us, though, there have always been lots of compulsory things in schools. If this counts as slavery, children have been enslaved since compulsory schooling began. I can't wait for Jonah Goldberg's sudden discovery that some children are told -- told!! -- to clean their rooms. I wrote a column on national service for Reason magazine a few months ago; read it here. These national "service" proposals certainly violate the spirit of the 13th amendment, regardless of how they might fare before, say, the Supreme Court. I deeply resented such programs when I was young, and I deeply resent attempts to impose such requirements on my children. I see a real threat of backlash here. The young are finely-tuned to recognize coercion when they see it (since they perforce experience so much of it!). The result could well be cynicism and a resistance to true volunteerism in the future. (On the other hand, it was disingenuous of Mr. Goldberg to not even mention that McCain and Bush have supported similar proposals). Once again, Jonah Goldberg gets it wrong. Once again, he belittles and reduces a good idea (no; a great idea) to a single-minded oversimplification. National service likened to slavery might seem a good fit in his mind because hey, there's a certain historical funhouse mirror feel to his oddly warped symmetry: black man suggests slavery as a national option. But Goldberg does this country a grave disservice in performing this intellectual sleight-of-hand. Many of us have been asking for years for our country to push for national service. Compulsion never bothered Mr. Goldberg and his ilk when it came to national military service, so why would building things cause him more concern than killing people as a nationally required service to one's country? It all depends on how you look at it. In my mind, it's a quid pro quo: the state educates children until the age of 18, at which point that citizen gives back 18 months of service in the area of his or her choice. That could mean military or Americorps type work as well as any number of other national holes we need to fill: delivery of food, supplies, and assistance to the elderly or disabled; teaching and classroom assisting; infrastructure upkeep; park/beach/lake/trail maintenance; and a hundred other needs that have gone unfilled for too long. With life expectancy lengthened, job mobility and career switching a fact of American life, and the hurried need to finish college and begin a career by age 22 no longer operating, why not? (And, if a student is not college-bound, I see no reason why that youth couldn't start on the volunteer path at age 16.) Imagine the tens of thousands of disaffected and untethered young people - especially children of recent immigrants who have not yet found their place in this system - participating in their country's betterment, seeing their labors as meaningful and worthwhile and necessary to their full citizenship, and forging friendships with other American youth from different cultures, regions, and backgrounds. I can see no better way to connect young people to this democracy. this jonah guy has a point: community service is used as a punishment for crimes. i don't want to do it; as an attorney, i notice that people generally don't want to do jury duty either. institute compulsory service, and suddenly people will get hard to count . . . .
How dare anyone tell us Americans what to do. (Don't they know it's our job to tell others what to do?) We Americans carry around this loopy idea that if anyone requires anything of us, we are somehow being enslaved. Was the World War II draft enslavement? No, because war is always a good excuse. But developing responsible citizens who become engaged with their nation's well-being (without being forced to shoot people who happen to come from a different country) is slavery. In California, high school students are required to do 60 hours of community service to graduate. Does that make them slaves? No, it makes them better citizens. Does anyone else suggest that many of the same people who are howling about "slavery" here are also anxious to keep an automatic weapon at home for "safety"? National service is not slavery but MANDATORY National Service is a form of slavery. One must chose what to do with his/her life and have choices. Bring back the draft if you want mandatory. This really teaches discipline and takes the arrogance and big egos away from the young. Too back Obama did not serve his country in the military. Would have taken a lot of that hot air out of him. race of baiting. It's an obsession for him. Barack Obama call for volunteerism with slavery. In an attempt to belittle Barack Obama and slavery Goldberg belittled himself. It is time for him to begone. Using Goldberg's reasoning anyone who receieves college assitance for attending the mititary academies, ROTC or serving in the military is a slave. Goldberg didn't say that because his focus once again is on skin color. “…when I'm President, I will set a goal for all American middle and high school students to perform 50 hours of service a year, and for all college students to perform 100 hours of service a year. This means that by the time you graduate college, you'll have done 17 weeks of service. We'll reach this goal in several ways. At the middle and high school level, we'll make federal assistance conditional on school districts developing service programs, and give schools resources to offer new service opportunities. At the community level, we'll develop public-private partnerships so students can serve more outside the classroom. The reader should note that the term “compulsory” was never used by Sen. Obama in the above excerpt, nor in his entire speech. Two words Sen. Obama does use in the above excerpt are “opportunity” and “credit.” Typically “opportunities” are exercised or ignored through an individual’s freewill and “credit” can be accepted as a form of compensation. In fact, Mr. Goldberg’s accusation that national service is analogous to slavery or indentured servitude is downright laughable when positioned next to Sen. Obama’s plan for a $4,000 tax credit in return for 100 hours of service. That’s $40/hour of compensation for badly needed services included tutoring and mentoring at risk youth. It may be more pleasing to Mr. Goldberg to see college students trying to buy books with the $6.00/hour they’d make serving fries at McDonald’s, but most Americans would agree that the talents of American college students could be put to better use serving kids who need role models. Mr. Goldberg’s thought process in the above statement is so confounded that dissecting it is a chore. First, incentivizing Americans to perform volunteer work for the benefit of each other does not constitute an “intrusive and expensive welfare state.” The entire purpose of national service incentive programs is to facilitate young people to take action instead of letting the government take care of things for them. Americorps volunteers choose to contribute to society by devoting two years of their lives to society’s biggest problems. Secondly, as an Americorps alum I personally take offense to Mr. Goldberg’s dismissal of the service Americorps members perform as “cleaning up roadside litter for two years.” The ignorance displayed in this statement is so profound it reveals Mr. Goldberg’s complete and utter lack of familiarity with the activities of Americorps members. Americorps members work with a variety of non-profits in the Americorps network including, Habitat for Humanity, Teach For America, New York Teaching Fellows, and City Year. Activities include teaching in low-income school districts, tutoring and mentoring disadvantaged youth, building affordable housing, and operating after-school programs. Finally, Mr. Goldberg’s overall conclusion that participating in volunteer programs partially funded by government money will decrease future volunteering runs completely against the facts. According to an independent survey of alumni of one of the largest Americorps programs, Americorps participants are more likely to volunteer after their term of service then their peers who did not serve in Americorps. The Americorps alums were also more likely to participate in society in ways other than volunteering including participation in community groups and voting. Further, a survey performed by Independent Sector and Youth Service America found that adults who began volunteering as youth are twice as likely to volunteer as their peers who did not volunteer when they were young. Senator Barack Obama is proposing to remake American society in a way that the American public does not yet understand. Many commentators were stumped. What is this “civilian national security force” that must be as well funded as the military? Is it merely our existing civilian national security force, the militia, or perhaps the FBI and the CIA? Or was Obama referring to some thuggish new paramilitary street organization? The answer to this mystery is not hidden. It is prominently displayed in Obama’s speeches and in the position papers on his website. Obama is referring, neither to the militia nor to a reincarnation of the Brownshirts, but rather to his unprecedented plans for universal community service for young people and for hugely increased funding for a myriad of voluntary service programs for the rest of us. Earlier posts dealt with mandatory service for middle and high school students, voluntary service for college students, and college “Serve-Study” laid out in Obama’s speeches and his “Plan for Universal Voluntary Citizen Service.” This post covers his other service programs. Although Obama’s education proposals would effectively reach over 90% of the 47 million middle, high, and college students in the country (perhaps leaving out only private secondary school children), what about the 2 million young people who are out of school and unemployed or in prison? To reach young prisoners and the young unemployed, Obama will add a new Green Job Corps, “an energy-focused youth jobs program,” and expand by six-fold the YouthBuild Program, which teaches housing construction to low-income youth. What about the middle-aged and older Americans not covered by these programs for the young? 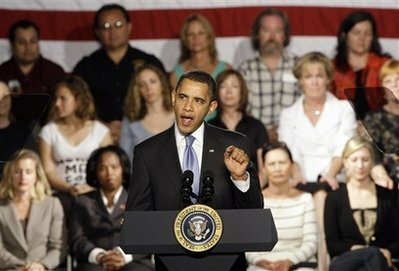 Obama plans to enlist retirees in his civilian national security force “on a large scale” and to expand service programs for baby-boomers and the elderly: AmeriCorps VISTA, the Experience Corps, and other Senior Corps programs. 5. a Homeland Security Corps to deal with emergencies. Barack Obama is proposing so many new “Corps” that he runs out of distinctive names for them. Note that his new Global Energy Corps is not to be confused with his new Clean Energy Corps and his new Green Job Corps. 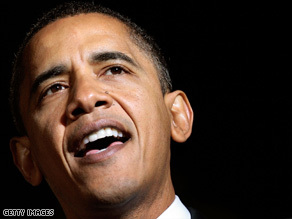 Barack Obama will create a Social Investment Fund Network, . . . a government-supported nonprofit corporation, similar to the Corporation for Public Broadcasting, that will use federal seed money to leverage private sector funding to improve local innovation, test the impact of new ideas and expand successful programs to scale. Barack Obama will a create an agency within the Corporation for National and Community Service dedicated to building the capacity and effectiveness of the nonprofit sector. All these programs are just the ones listed on the service pages of his campaign website. This list doesn’t include his most expensive program: health care. All these add up to the biggest expansion of the US government since FDR. If Obama gets most of what he wants, he will make libertarians look more fondly on the relatively modest proposals of Lyndon Johnson and Richard Nixon. Obama's Corps mania sounds like someone copied a page from the Onion and mistakenly posted it to his campaign website. Sorry, Obamanics, but your candidate is stark raving mad if he thinks the American people want a chicken in every pot and a Corps on every corner. As a high school student, I remember being struck by the absurdity of "forced voluntarism." Years later, I still find it distasteful, but I realize that it was put forth by a local school board and fully within their rights, even if bad policy. Forced voluntarism at the federal level is frightening and absurd. I can only imagine the list of organizations qualifying. Coming from Chicago and knowing who Obama owes favors makes me suspect that many high school students would be assigned (or permitted) to do grunt work at the mayor's office. I'm also a bit unsure of the legal ramifications of what would probably be such a specific and onerous condition on federal funding for education. "You don't get the money if you don't require each and every student to volunteer" doesn't seem remotely connected to any legitimate federal interest. Sounds like what he and Ayers had going in Chicago with Annenberg. Money seems to have shuffled around a bit, until it finally disappeared. Sounds like something to get in on the bottom floor with. no doubt there will be a "get out the [Dem] vote" corps. Also, I'm sure all of these "volunteers" will be unionized, eventually. Forced voluntarism or mandatory service is just conscription (AKA the Draft). It will be disliked as much as the military draft as the people required to serve are also required to give up other jobs or activities in order to perform these required services. FDR started numerous programs during the depression to put people to work and try to kick start the economy. In the 1990s People like Tom Hayden pushed for program where we would send young people to college if they then served something like five years in some public service position (Police, Fire, etc). The difference between these proposals and what Obama seems to be proposing is that the people are forced not by their need for employment or the need to find away to pay for college, but the need for the government to find people to fill the quota for these corps. How long before we must all register for such service as men do for military service. ensure our voice is heard in the mass media and in our efforts on the ground. While checking Obama's position papers to make sure that this article wasn't some kind of satire, I came across this (above). Someone please tell me that he won't actually have the power to do this. Sounds like what he and Ayers had going in Chicago with Annenberg. The schools had to partner with organizations chosen by the CAC in order to get the money. The organizations were radical; if the thrust of an organization was something as basic as raising math scores, it wouldn't have been considered for partnership by the CAC. To recap- it seems the CAC used the money as a lure to partner schools with radical organizations, the intent being radical political indoctrination rather than improving the students' education. No radical politics, no money. "The Civilian Conservation Corps left its monuments in the preservation and purification of the land, the water, the forests, and the young men of America." All these add up to the biggest expansion of the US government since FDR G.W. Bush. Catherine 2:21am : What is your objection to the proposed program with Arabic/Farsi/etc. speakers? You're all better-informed than I am, which is why I normally just read the comments here, so I suppose if you don't see a problem, there isn't one. But since you asked, I think our relations with these countries are already dicy enough, we don't need some nutty 'rapidly recruited' group of amateurs who passed Diplomacy 101 running around saying God knows what to them. These cadres sounds like the brownshirts and hitler youth to me. As for the claim of voluntary, we all know the peer pressure takes a lot of the freedom of choice out of play. And it is all to be paid for by the redistribution of wealth program that was the theme of the DNC. For the programs that already exist- are they so popular that they are at capacity? If they are, why has no one increased funding for them to meet the need? If they are not at capacity, why does he want to waste money expanding them? As for the claim of voluntary, we all know the peer pressure takes a lot of the freedom of choice out of play. I can appreciate the problems with peer pressure, but -- even in religious schools -- peer pressure to do community service is low or nonexistant. And with that, it ranges anywhere from helping somebody set up chairs in the gym, or going through church pews putting hymnals in order, to real missionary work in one's own city or in a near-by country. But people still did it, and usually for the right reasons. Like the federal money and drinking age give-and-take with the States, the program is at best tax-funded blackmail and at worst an Orwellian lesson in keeping in line with the party. Are these hours/years of work going to count towards Social Security? There should definitely be a Street Corps for the suppression of anti-Obama sentiment. Recruits might come from ex-Weathermen; the usual Daly-machine activists; "tough" unions like the Teamsters, UAW, and longshoremen; politically-conscious street gangs, etc. Their activities could be coordinated directly by the DNC through contacts in the White House. For purposes of morale they should have an informal uniform. Didn't someone mention brown shirts? He sure seems intent on drafting people into everything except the military. Can't tell one socialist from another without yer program! Can't step like a goose without a certain-colored noose! Can't dance to the beat without a song sheet! Manifesto, sir? I have a special on this here little red book. And the suffering has been reduced by half -- this week only -- on all autobiographies. All 13th amendment and civil liberties questions aside, has anyone asked the nonprofits, churches, and government agencies who would presumably the beneficiaries of a mandatory community service program whether they want the services of millions of conscripted 11, 12, and 13 year olds? They'll need to provide supervision for these kids, many of whom will be unmotivated and all of whom will be immature. Making sure these kids satisfy this mandate will require the creation and maintenance of new programs for adults to take kids to volunteer sites and make sure they behave themselves as they stuff envelopes. Maryland requires community service for high schoolers - it has the effect of erecting another barrier to graduation for borderline students and adding another thing to the ever-growing list of non-academic tasks that schools have to worry about. I like Obama, but this is an idiotic and poorly thought out plan. Maybe we can just ask the federal Education Department to concentrate on making the programs Congress has already seen fit to mandate quasi-functional before creating a new one for them to administer in a half-assed way. I mean, I know it's the American way to create a program on paper and declare victory, but I think it's time for change. I;m going to post my own (heretical) thoughts here. I have long thought that extreme Marxism and extreme libertarianism were but flip sides of the same coin. The idea that all good springs from the group, without the individual, is antithetical to human nature and doomed to failure. The idea that all good springs from the individual, without the group, is also doomed to failure. There is a healthy (moderate) balance between the two. I think that in some ways, the United States has embraced individualism to a fault. There is little thought to civic virtue. While I do believe that the common good is often accomplished by individual (and, in a non-prejorative appelation, selfish) actions, it is also true that the fabric of civil society is best held together by those who also have an eye toward the "common good". While there are a number of private civic organizations that continue to perform these actions, and these should be encouraged and lauded, I think it is also true that in our increasingly fragmented society, there may be a place for government encouragement of civic society, through both education and increased incentives for civic work. #1: Hong Kong. Part of China; repressive government allowing economic freedom. #2: Singapore. Not a fan of canings, big fan of bubblegum. It's an index of economic freedom, I should have stressed that I was referring to the "economic" part. So these aren't all models of social and economic libertarianism. Those countries aren't actually socialist. Austrian economics (at least Mises) refers to the "social democrat" countries as "hampered market" economies. They have relatively high taxes and a high amount of regulation, but there is still fairly strong private enterprise there. The point on Marxism still stands. Where it's been done for real the results have been as I described - bad, often horrible. ...as well as point to the lack of an 'extreme libertarian' (stateless or near stateless) country that has done well. There is a difference between arguing for less government intervention and arguing that all government (except for police and natl. defense) are bad. I think you're mixing things up. "Stateless" or "lawless" does not equal libertarianism. Libertarianism refers to a high degree of economic freedom coupled with a high degree of social freedom. Nearly all libertarians believe in laws, just some debates on how much government there should be. As for examples- I think that there has been a decline in civic mindedness due to the boomer generation. A combination of turned idealism (from we will change the world to greed is good) and distrust of America and its government as a concept. I'm not so sure that's it. There are times when the government certainly needs to be viewed with a skeptical eye - basically all the time. And the beauty of capitalism is that it enables self-interest to benefit the common good. But the babyboomers are actually enacting statist/socialist policies to rob the present at the expense of the future. It's not all their fault, the main problems with a central bank, a fiat currency, economic ignorance at all levels, politicians focused on hack short-term economic policies to ensure re-election, etc. were present before they arrived on the stage. The previous generation that fought together in WW2 as a shared enterprise had a different take on it. Well the problem with that is when they create an "enterprise" that is wrong or harmful. They tend to fanatically stick with it, even when they are dead wrong. But I guess that generation doesn't have a monopoly on that kind of stubborness. It could just be the typical 'things were always better in the past' fallacy, or there could be something to it; I think that the decline in third spaces, the increased mobility of individuals, the breakdown of extended families, and other factors of modern life also have contributed to this. I think that the government should play a *voluntary* role in finding ways to bring some of this back. I think think there is a lot of nostalgia there. A lot of it is generational strife due to the boomers and their parents trying to push the younger generations around - robbing the younger generations for their entitlements now. (While this wasn't done to them - they got to get ahead and raise their families without interference.) A lot of it is just the economic problems from the factors mentioned above. Not that any of it is OK or should be tolerated. Man, if this 'forced volunteering' did happen, I almost wish I was young enough to be forced to 'volunteer'. I would be just as surly, lippy and lazy as I could, then practically DARE the 'boss' to 'fire' me. Then I would demand all the same benefits of those volunteers who worked hard and were pleasant and competent. I would be a typical union/gov't worker, times two. Around 1967 at the University of Chicago, I was talking to one of the radical guys in my dormitory, call him Brad. He argued that only a radical change in government would bring about a better society. I disagreed. He said that his movement would become stronger, and eventually I would agree with him. I asked, what if I didn't agree with him, even later? He flashed anger and told me that if I didn't agree on my own, he would make me agree. I saw that as the end of the discussion. Mandatory service? Obama doesnt understand the power of a volunteer workforce. He doesn't understand that this is what makes our military so strong. If these programs are so great, why are they mandatory? What else doesn't he understand? No thanks, I'll vote for the other guy. Perhaps we could ask Andrea Merkel to explain it? I'll take the "Blame the Boomers" line and what lies beneath. All of the slippery slope arguments are being vindicated before our eyes. From the much scoffed at assertion that unchecked abortion rights would lead to a public acceptance of vanity based infanticide (and yes, I personally know one woman who aborted a child when she discovered that it was female), to the Culture Wars gambit that lead to a "need" for the creation of youth corps. How many years has the left spent deriding and condemning the traditional sources of civic pride? We've been inundated with messages that there is something fascistic about saluting the flag, joining the military, and saying the pledge of allegiance. Progressives having been busily scraping a hole where we once found positive outlets for young people to do good works. If churches are painted as refuges for narrow-minded bigots and creepy sexual predators, they are no longer places where teens will find their way toward the experience of doing charitable works. If the ROTC is portrayed as a training ground for baby killers, what decent minded young person would funnel their nobler energies into participating there? As every institution that once served to usher us from the selfishness of childhood into a humane and giving adulthood has been torn down, ridiculed, and demonized, they will now offer us a grand new scheme to fill the vacuum that they created. Isn't a healthy dose of skepticism called for? If volunteerism in the service of noble goals is such a vitally important part of civilized society, then why did the same actors participate so enthusiastically in tearing down the structures that used to encourage such acts? And yes, Bill Ayers is one who comes immediately to mind. He and his friends have been much busier in the last 30-40 years than most of us realized. I don't want to live in the brave new world these baby boomer losers are trying to foist on us, nor do I want my children marching lock-step in their little armies. Obama is free to run for the office of president, but the "Leader of the Free World" part is an honorary designation, not a damn mandate. It's difficult to tell if they're at capacity or not - I'd think not... but there's no emphasis I've seen at all on filling them out. No "wee need more volunteers' articles in the local liberal rag, no ads on TV or the like... I think the thinking is - "If you're interested, you'll find us and volunteer. If you don't, we weren't really needing you anyway." Their budget - $888,462,000 for '09, according to their web site. I'm suspicious of any sort of 'mandatory volunteerism', personally. Make it mandatory, and that kind of cancels out the 'volunteer' part. This expansion of 'voluntary/mandatory service' isn't something that's exactly endearing as far as Obama's plans for the country goes. I wonder how long it'll be until he proposes changing the flag, as well? I think El Presidente BHO's proposals are wonderfully modest. Unfortunately, too many anti-social acts occur to be rectified merely by requiring an equal number of good acts. We would be far better served by punishing anti-social acts. But here too, the problem (well known in crime studies, called the "black figure" - or, in Rumsfeld's terms, the "unknown unknowns") is that an undetermined number of anti-social acts are undiscovered, and so cannot be punished. Thus, our Dear Leader's proposals could be improved if he established a corps for children to report their parents' un-PC statements or acts to the appropriate authorities. A lateral benefit of this Obama Youth Corps would be to inculcate children with proper political values - change, hope, and permanent revolution - in a more direct way than publically-funded schools have heretofore managed. George Orwell would have immediately recognised the term "mandatory volunteerism". All you have to do is look at elitism in the U.S. to determine who mandatory volunteerism would work out. the children of the elite will get the positions that look good on a resume. The children of the middle class will end up wasting their time. The children of the poor will end up picking up trash. Does anyone believe that a president who believes that race and ethnicity is more important than ability will be able to develop a functional volunteer program instead of some horrible example of political correctness? In addition, look at the summer jobs program in DC this summer. No show jobs, poor management, some not paid for work, non-students working. What makes anyone that such a program can be expanded to the national level? Hussein ought to first get the welfare parasites to be the volunteers. Food for work. When he accomplishes that, that is when he should get back to us. The democrats picked another McGovern and without the redeeming features. The only real question is whether McCain will win 40 states or 45? 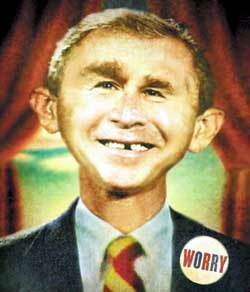 Cornelian, are you seriously proposing that GWB expanded the federal government anywhere near as much as FDR? If you were serious, you're delusional in the extreme. Obama the empty suit, the Affirmative Action HE-RO, wants to take our 11 and 12 year old kids for indoctrination. Isn't that a swell idea? Loki as substantial as your Marxist Manchurian Candidate. Speaking of welfare parasites if McCain has a pair first thing he should do is issue an executive order suspending the Davis - Bacon Act and impounding federal funds from local and state governments that have such laws on the books. That and repeal the tax exempt status of private schools and colleges along with freezing pensions and all other spending to last years actual expenditures. Heck, he might even balance the budget in his first year if he did that. As for coerced volunteerism, like I said let the parasites first work for their food and shelter. Then get back to us actual net taxpayers. Remember Clinton's America Corps - volunteers who were getting $23.00/hr quite a bit over the minimum wage. We don't need any more laws or nonsensical schemes, we have more than enough of both. Government should back off, lay off "do-gooders" and let those who know what they're doing to get on with it. Mr. Obama should go back to teaching. That's where his ego would be best served and where he will have an endless stream of adoring fans. I "volunteered" with AmeriCorps. I received a "stipend" not a "salary" or "wage". Described above, as a child of the middle class, I wasted my time. Or perhaps not. The "stipend" I received worked out to be a pretty good equivalent of an hourly "wage." And, no accountability, no responsibility, no actual work to do. Oh man, good times. I'm in total support of this. In a few years, my child will need a car. This would be a great way for him to "earn" the money and learn about the uselessness of government. It seems to me that the only mandatory volunteerism would be his middle-school/high-school component. I am against it, but he does reference ,service-learning, which I think isn't too terrible. I am not really ready to get up in arms about 6 days a year. Besides, anyone can see that NCLB is far greater federal intervention.. There are already dozens of programs that do what Obama is proposing (Teach for america, state and federal americorps, peace corps) he's not proposing conscripting anyone to do those things, just expand the opportunities for people who want to do them. I actually think his college volunteer program is kind of neat, the cost of college tuition is a real problem. Where does the talk of "mandatory" or "forced volunteerism" come from? Please do not call Barack Obama "Hussein." The point has already been many times before. It's not the name he generally goes by. Wow, a liberal version of the draft or maybe a liberal version of mandatory volunteerism or maybe call it what it is, a liberal version of benevolent slavery. I wonder how those verbal terrorists over at koz or DU will respond. Maybe President Obama could create a volunteer program to help the poor. Much the way that Obama helped his own brother in Kenya. If he helps the poor of America as much as he helped his own kin (who lives on less than $1 a day), then everything will be swell. From the same hard-bitten taxpayers who will have to bear this giant additional tax burden. Obama is on record as saying his domestic "force" should be funded to the same extent as the U.S. military. Individual federal income taxes have risen about 50% from when Reagan was in office. Can I see a show of hands: who thinks that things are 50% better now? And who thinks that Obama's big new idea to spend $500 billion+ more every year on this make-work indoctrination project will be worth the money spent? "We've got to have a civilian national security force that's just as powerful, just as strong, just as well-funded." Damn, I thought he was going to buy us all guns. Hell to stop forced labour I would agree with a union. As to cubabob why should private schools lose their tax exempt clasification? Assuming they are not for profit? Don't we want to encourage education? 1. Funny how 12-year-olds are too young to get real jobs, do real work, make real money, help their families and save for college--but they're old enough to be drafted by Obama into his make-work program. 2. I suggest the best service that young people can perform is attend to their studies, get a real job in the private "sector", support themselves and their families, save for retirement, pay their own way, and give Big Brother the badfinger at the polling booth. By the way, the above is no advertisement for McCain, an anti-free-speech warmonger. If you believe people should be accorded the right to live their own lives and pursue their own goals in non-coercive interaction with others, the only candidate out there is Bob Barr. Oh yeah, thesed ideas are brilliant. They'll all work like a charm, just like the DMV and post office. I think perhaps the chief tragedy of our time is the proportion of the population, especially the intellectual population, either oblivious to or dismissive of the actual productive economy in which most adults participate and in which 90% of the meaningful "service" of, by, and for the people is carried out. The whole post is pretty far off base. When Barack talks about a "civilian national security force", he's talking about strengthening and improving the civilian arms of government that operate overseas, like the State Department. He might also want to increase opportunities for Americans to participate in volunteer programs, but that's not what the quote is about. I look forward to the day when teaching Marx in Economics will be viewed with distaste equal to that felt toward the teaching of Creation Science in Biology. I got your required reading right here. When Barack talks about a "civilian national security force", he's talking about strengthening and improving the civilian arms of government that operate overseas, like the State Department. As to the substance of Obama's proposals, I am agnostic. Politics is the art of the possible; this has identified a problem, and I know that this will not pass as proposed. After all, we are our brother's keeper. We do not simply do for ourself, and hope the invisible hand keeps our brother safe. The Churches would not mind. After Obama does a Hugo Chavez and creates his own church, all churches, and thereore the volunteers, would fall under the government, archbishop Obama's, program. We are our brothers' keepers? Since when? Who made us that, and why should we accept it? The NKVD were MUCH more brutal, and yet history has almost forgotten them thanks to the Duranty-esque whitewash of Soviet crimes by leftist reporters and historians. Obama did nothing for the Chicago school system with $110 million. Imagine how he could screw up the country with federal resources at his disposal. "Your last point actually surprises me to some extent, having read the Audacity of Hope." That's funny because that was the immediate impression I got from his books. Even to write a memoir in one's thirties is an act born of narcissism. I thought that Congress has the power of both the "sword and the purse". It is no longer clear after this administration if the Congress really has the power of the sword (although, in fairness, you can trace this back to Vietnam); are you arguing that Obama will take control of the purse as well? Or that the Republicans will lose so badly that the Democrats will have 60 votes in the Senate, and all will vote with Obama and take their orders from him? The Annenberg money was never meant to do anything for Chicago education; Hussein and Ayers intended to simply transfer someone else's wealth to their friends and political allies. I believe Dr. Kurtz' investigation will turn up evidence that will convince even the most irrational Husseinians. The knee jerk opposition to Kurtz' investigation is, to me, proof that there is something to be found. And, once you accept that Hussein is nothing but another cheap, crooked Chicago race hustler, you'll also recognize that all the domestic corps programs are nothing more than programs to put politically vetted pals on the public payroll where very little will be expected of them. It will be modeled after Hussein's public service. As has been discussed previously, if you wish to be taken seriously, you should probably refrain from the over-the-top rhetoric. Do you call McCain "Sidney"? How about John Sidney McCain III? No? Then why should anyone read (let alone believe) your comments? BTW, did you mention civic/national service? I lost you at "Hussein". I have long thought that extreme Marxism and extreme libertarianism were but flip sides of the same coin. I wanted to say the kernel of difference is that between voluntary collective action and coerced collective action, but I realized (given my little knowledge of it) that one could make the case that Marxism is more about reacting to supposed coercive action. In which case, it seems we're no longer comparing political theories but a political theory and a conspiracy theory. Personally: I accept libertarianism to the extent that it meshes with my own voluntaryism. Collectivism is a big red herring for both sides. It's just that the Left likes to beat people with it. And libertarians have no problem with civic virtue, volunteerism, charity, etc. as long as it is voluntary - all time and monies given to these organizations or efforts are freely given with no coercion, threats, etc. Of course the organizations have to be pursuing legal, moral, legitimate ends as well. If a "voluntary charity" involves harassing and stealing from particular ethnic groups and then spending the money on charity members or giving it away that isn't a legitimate "charity", it's a criminal group. So libertarianism has no problem with charities and civic organizations as long as they are truly voluntary, their funding is truly voluntary, and they are pursuing legitimate ends that don't harm anyone or violate their rights. In my opinion that is consistent with true civic-mindedness - not trying to force you views, projects, or opinions on others. From the sound of it I think various rightwing and leftwing ideologues have painted the picture of libertarians as selfish, mean, bitter, greedy hermits, likely because they wouldn't go along with whichever agendas or projects the ideologues were forcing or trying to push on people at the time. That isn't the case. If a "voluntary charity" involves harassing and stealing from particular ethnic groups and then spending the money on charity members or giving it away that isn't a legitimate "charity", it's a criminal group. Note that this is a simple case of rent seeking, which any economist could tell you results from manipulating prices. And yet politicians routinely propose price controls and their equivalents (quantity restrictions, etc). No, I think we don't disagree on some things. I think there is a difference between a healthy understanding of economics and "extreme libertarianism". There is a reason and purpose for government, and reason we have one. Given the complexities of modern life, and the imperfections of the market (not to mention normative societal goals), a government that exists with the consent of the governed is necessary. Once that is established, the question becomes one of particularity- is a given intervention good or bad. Extreme libertarianism, like extreme Marxism, presupposes that ideology has the answer; either government is always bad, or government is always good. I prefer the intermediate route, which is to have government on the sidelines as much as possible (call it a presumption), but also acknowledge how necessary it is for certain issues (a rebutable presumption). I think there is a problem with the civic-mindedness in the United States; as mentioned, I do not know that Obama's plan is a good way to address it; I would rather see alternative plans mooted than the critique I have been seeing, "BHO is a collectivist and wants to bring back the brownshirts!" Personally, I blame the boomers for the lack of civic-mindedness, and should we continue down this course, we'll be no better than Nigeria, with everyone demanding some baksheesh to accomplish what they should be accomplishing. Or, at least, a high-paying lobbying job. Well yes, but if you have a criminal law which forbids stealing - as all legal systems do - then it is clearly stealing and other forms of crime as well. And I mentioned ethnicity in the example though I really didn't get into it. If they are targeting specific ethnic groups this is racist, ethnosupremicist, discriminatory, etc. as well. And in the example if politicians were imposing price controls based on ethnicity this would clearly be racist, approaching a kind of neo-nazi social engineering. Wow! Can we all wear matching brown shirts?! I think we are forgetting one aspect of the compulsory volunteer programs and that is all the pretty uniforms. And the Dems have been saying for eight years that Bush would bring back the draft. Extreme libertarianism, like extreme Marxism, presupposes that ideology has the answer; either government is always bad, or government is always good. I prefer the intermediate route, which is to have government on the sidelines as much as possible (call it a presumption), but also acknowledge how necessary it is for certain issues (a rebutable presumption). As far as I understand libertarianism, it recognizes government as a tool: first for self-defence, then for law and order, and then maybe for dealing with externalities (well, that's what I've read, anyway). It's bad in that it can't be trusted to be good. I don't think what you're describing is that different, and I don't know what you really think the difference is. American Psikhushka, indeed, but it's so much less disturbing to think about when I pretend that proponents of such systems would ever accept the logic of rent seeking being a bad thing. They usually shout one down, instead. I think you should be able to gather the difference from both what I have said and the (many) comments by others on the (many) posts here. A fanatic is one who fits the facts into their ideology; a realist shapes their ideology to fit the facts at hand. I don't believe that a libertarians would necessarily stop there, even committed ones; you list national defense; that is merely one example of a public good (with associated free rider problems). There are other public goods that some (most?) libertarians would see that there would be a need for government intervention. Some libertarians, conversely, would prefer private methods for dealing with externalities (viewing it in terms of Coase, as opposed to a Pigou); I think that's silly due to transaction costs, but go figger. I could go on, but you get the point. I hate ideologies as much as I hate Illinois Nazis. "Mandatory charity" has been a hallmark of life in the corporate world. It goes by the name "United Way". "Mandatory volunteerism" has a catchy ring to it. If public school students should wear uniforms, shouldn't adults lead by example by doing the same thing? Before I support any such proposal, however, I do want to see color swatches. My eyes are blue and some shades of brown do not bring out their full color and do them justice. Given the plethora of proposed "corps", can a proposal for a "Corps Czar" be far behind? I think you're missing the sociological factor. Even a minarchy can't withstand a communist revolution. Small-'L' libertarianism can be just an ideal, but it requires most of us to accept that ideal, otherwise it stops working (status quo coerced or complete upset). I guess I'm just not deep enough in the Volokh clique, since I don't know how all that differs from what you said or what Illinoi Nazis have to do with it. I think that the best way to forestall a communist revolution is to forgo extreme libertarianism. Just as todays libertarians misread and misrepresent Adam Smith, so did yesterdays Marxists misread and misrepresent Marx. Which is why both Wealth of Nations and Das Kapital should be required reading in all introductory econ. courses. The scathing critique, backed by statistics, that Marx wrote of capitalism, did not come to pass, because of the rise both of democracy and unions. This is not to be, necessarily, pro-union (although I am pro-democracy), but the idea of revolution is unlikely to come about unless people believe that their situation is both miserable and unlikely to improve for both themselves and their children. While this does not argue for wealth redistribution, it does mean that certain things are necessary- protection of stability to allow for individual freedom and economic opportunity, while also affording opportunity to the least of us. This is a delicate balance, and it is easy to go to far either way (too much intervention leads to inefficient markets and slow economic growth, hurting everyone, while a completely bifurcated class structure lends itself to a poor outcome for society as a whole, and breeds the conditions that make revolution more likely). I think it was remarked, if you ain't got nothin', you got nothin' to lose. The genius of America is to make sure that people have something to lose. That's where civic mindedness (and ownership) comes in. I think there is a difference between a healthy understanding of economics and "extreme libertarianism". All very subjective. What some might label "extreme libertarianism" might just mean that they aren't aware of certain economic principles. There is a reason and purpose for government, and reason we have one. Yes. But sometimes the reasons and purposes are incorrect, wasteful, harmful, disproportionate, etc. A police force (providing it is honest, fair, effective, and not corrupt) is generally agreed to be a necessity. But what about a police force whose function is to steal from and exploit a particular ethnic group, as in some totalitarian regimes? This is government that has no legitimate reason and no legitimate purpose, and therefore does more harm than good. Often what are called "market failures" are just certain interests trying to rig, control, etc. various markets in their favor. a government that exists with the consent of the governed is necessary. Once that is established, the question becomes one of particularity- is a given intervention good or bad. There are also governments or parts of governments that are not consensual, not legitimate, and sometimes illegal - going against the laws of the government in question. Extreme libertarianism, like extreme Marxism, presupposes that ideology has the answer; either government is always bad, or government is always good. Well the label "extreme libertarianism" is a problem because I'm not sure how you're defining it. According to sources like the economic freedom index, generally the more economically free (the more it approaches libertarianism) a country is the more successful and prosperous it is. But extreme Marxism has demontrably always been bad - eventually resulting in stagnation, declining living standards, and very often poverty and starvation. It also basically requires a police state to exist and usually is plagued with rampant corruption. Personally, I blame the boomers for the lack of civic-mindedness, and should we continue down this course, we'll be no matter than Nigeria, with everyone demanding some baksheesh to accomplish what they should be accomplishing. Or, at least, a high-paying lobbying job. Not sure what you mean here, could you elaborate or give examples? Plus the spiffy uniforms here, here and here. But not these politically incorrect uniforms. Don't even get me started on the socialized medicine on that list! Anyway, I agree that totalitarianism is bad (are there those who argue otherwise, other than the dictators themselves and their flunkies). But arguing that 'extreme Marxism' has always been bad is a straw man; I can point to countries that do fine with various degrees of socialism (like our neighbor to the north (7), or Ireland (3), or Switzerland (9), or the UK (10)) as well as point to the lack of an 'extreme libertarian' (stateless or near stateless) country that has done well. There is a difference between arguing for less government intervention and arguing that all government (except for police and natl. defense) are bad. As for examples- I think that there has been a decline in civic mindedness due to the boomer generation. A combination of turned idealism (from we will change the world to greed is good) and distrust of America and its government as a concept. The previous generation that fought together in WW2 as a shared enterprise had a different take on it. This is a personal view, and YMMV. It could just be the typical 'things were always better in the past' fallacy, or there could be something to it; I think that the decline in third spaces, the increased mobility of individuals, the breakdown of extended families, and other factors of modern life also have contributed to this. I think that the government should play a *voluntary* role in finding ways to bring some of this back. It had been predicted that Hawaii would be hit by at least one missile on July 4th. Either North Korea couldn't get their missiles that far, or they didn't try - which was it? North Korea Saturday fired seven ballistic missiles off its eastern coast over a stretch of several hours, violating the U.N. sanctions and sending an apparent message of defiance to the United States which commemorated its Independence Day. "North Korea fired two missiles toward the East Sea from the Gitdaeryong base near Wonsan, Gangwon Province, between 8:00 a.m. and 8:30 a.m. today. And it fired another one into the East Sea from the same site around 10:45 a.m.," Yonhap reported citing an official at the Joint Chiefs of Staff (JCS). All the missiles are estimated to have a range of 400-500km, covering the entire South Korea within the target range. South Korea's foreign ministry lashed out at the reclusive neighbor's ballistic missile launch, calling it a clear violation of U.N. Security Council resolutions that ban the communist nation from any activity related to a ballistic missile program. "It is a provocative act that clearly violates U.N. Security Council resolutions 1695, 1718, and 1874 that bar North Korea's every activity related to ballistic missiles," the ministry said in a statement. "The government expresses deep regret over North Korea's continued acts to escalate tensions in Northeast Asia in ignorance of the U.N. Security Council resolutions and urges North Korea to faithfully implement the resolutions," it added. The launches came two days after North Korea fired four short-range cruise missiles and will likely ramp up the already charged tension in the region as Washington tries to solicit support for strict enforcement of the U.N. sanctions on Pyongyang for its nuclear test in May. The official said the North shot three more missiles from the same site at around noon, at 2:50 p.m. and at 4:10 p.m., adding the military is analyzing the exact type of the missiles and North Korea's intentions. The authorities said the missiles are apparently ballistic ones, probably a Scud type, given the trajectory and flight distances. But they did not rule out the possibility that what the North fired might have actually been Rodong missiles, a modification of Scud missiles. The North is believed to have about 1,000 ballistic missiles alone ― including nearly 700 Scud missiles of various types and 320 Rodong missiles. Previously, North Korea test-fired a long-range Taepodong-2 missile, along with several short-and mid-range missiles, on U.S. Independence Day in 2006.